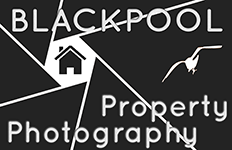 As you can see from the logo, I am no designer but I have been into photography for some 20 years, back in the day of 35 mm film cameras. My old Olympus SLR camera was fully manual and I had no choice but to learn how the camera works to get all those effects modern cameras serve up automatically. Most of my early work was unpaid, photographing local bands who were mainly friends of mine from my own band days in the early 90’s. I still enjoy photographing gigs and I am glad more people are doing that now. I got into real estate photography simply by getting into real estate. I quickly found out that the majority of estate agents don’t understand cameras and I was happy that I had something going for me in the estate agent business. Although most of my work comes from estate agents I am available for private hire if you are thinking of selling your home. Even if your home is already on the market I can help by liaising with the agent to get their website images replaced so that the portals they subscribe to reflect those changes too. Either way, the cost will be small compared to the value you will add to your property including the time it takes to get noticed. Think of how much time and investment goes into making a supermarket product look good. It’s all about catching the eye and those portals are nothing more than property supermarkets. 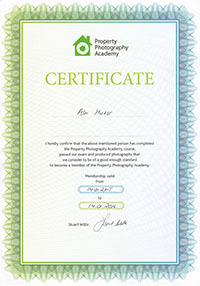 Visit the Property Photography Academy. Click here for Full size Certification: links to PDF view. New Secret Weapon for Estate Agents. Finally, A Free Service For Estate Agents!! A Penny Less Than A Pound? “Between two products equal in price, function and quality…..
Drone HD photography & footage.